History - The Partnership for a Healthier Carroll County, Inc. This resolution launched a comprehensive community health assessment project, which was completed in 1997 by Carroll Hospital (then Carroll County General Hospital) and the Carroll County Health Department. It incorporated a strong community role with a 40-person steering committee. The value of a community-based, community-driven model was thus established, and issues for improvement action were selected by the steering committee. 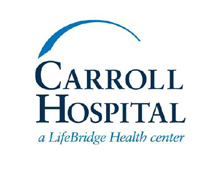 That steering committee then asked Carroll Hospital and the Carroll County Health Department, the recognized leaders of health in Carroll County, to support the community in a long-term improvement effort. The non-profit corporate model was implemented to capture the community-based leadership so important to our intended outcomes. 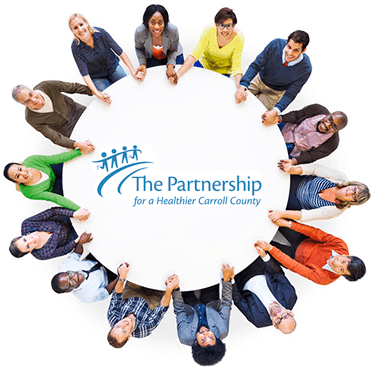 The Partnership for a Healthier Carroll County, Inc. was chartered in 1999 as a unique not-for-profit organization devoted to building capacity to improve health and quality of life in our community. Responding to a request from the community, creative thinking leaders from Carroll Hospital and the Carroll County Health Department envisioned a unique approach to health improvement. They are the two initial members of The Partnership for a Healthier Carroll County, Inc., a Maryland non-stock corporation, and they continue to sustain the work of the organization today. Founded by and for our communities, Carroll Hospital helps people maintain the highest attainable level of good health throughout their lives. We strive to be the best place to work, practice medicine and receive care. Our commitment is to be the hospital of choice. Our communities expect and deserve superior medical treatment, compassionate care, and expert guidance in maintaining their health and well-being. At Carroll Hospital, we offer an uncompromising commitment to the highest quality health care experience for people in all stages of life. We are the heart of health care in our communities. Drive the effort to create a healthier Carroll County Community. Through extensive community involvement, and with collaboration at the heart of all operations, The Partnership is linked with elements of Carroll Hospital’s Community Benefit planning and implementation process. The mission of Carroll County Health Department is to create and sustain a community of wellness in Carroll County. Our commitment is to assure the optimum quality of life by empowering the public with knowledge and resources through advocacy and community partnerships. 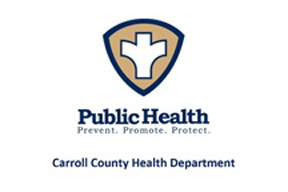 Carroll County Health Department, as a unit of the Department of Health and Mental Hygiene (DHMH) within the government of the State of Maryland, serves the residents of Carroll County. Assurance – Enforcing laws and linking to care.